Caribe condo for sale in Orange Beach AL Enjoy this unobstructed view of Ole River in this spacious 2BR/2BA, 1,602 sq. ft. condominium. Stainless appliances and granite throughout make this contemporary condo a luxurious retreat or solid rental property. This unit currently has a long term monthly rental occupant which is flexible. 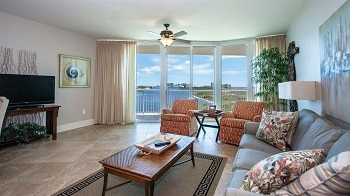 Enjoy all the amenities of this beautiful Caribe Resort Condo!